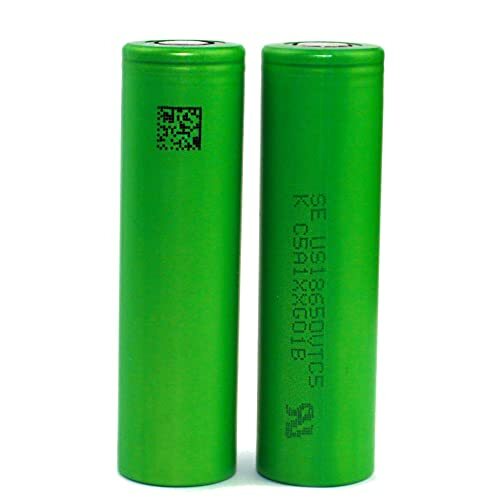 These are considered by many to be the best 18650 battery available today, and for good reason. Once fully charged, which takes a while, they should last you about a week before needing to be charged again. While they are only rated for 15A, they regularly surpassed this and performed at 20A. You would think that any battery pushed beyond its limits would quickly degrade, but that was not the case for these. Instead, they continued providing the same 3000mAh of capacity, regardless of how much current they were using. They are flat top batteries, so make sure your device is compatible with them before you purchase. These batteries from Panasonic are a bit more budget friendly than some of the other brand name batteries out there. This might make them appealing to a first-time buyer. Since Panasonic makes them, you can trust that they will charge quickly and safely. These are button top batteries that have built-in heat insulation. This insulation, along with their strong electrical resistance, makes them impervious to overheating. It also will help to ensure that they last a good long time. The button top might make them too long for some devices. This flat top battery from Sony is one of the best high drain flat top batteries out there. They are a perfect choice if you need a battery that can put out a ton of power and not suffer any ill effects. This is because these batteries, unlike others that run on 15A or 20A, discharge power at 30A. It can also be double of this for short bursts. This makes them an extremely safe choice for higher power settings. Since the VTC5 are flat tops, they are more likely to fit into any device that might need 18650 batteries. They are also rechargeable, which will help you to get lots of use out of them. They will, however, degrade over time. After using them for a while, especially at higher power levels, you will begin to notice a downturn in their performance. With cheaper batteries, you always have to worry about safety, and whether or not they have the ability to provide a constant power flow. With these 18650 batteries from Samsung, you won’t have to worry about either. They can handle high drain situations easily, all while providing a constant 20A of current. Of course, if you are running them constantly, they do have a tendency to lose power relatively quickly. Luckily, they recharge even quicker. Something else that helps to make these batteries especially safe to operate is their outer layer. They have an extra thick outer layer that will help to keep them from overheating. This layer also will help to prevent them from leaking if you accidentally damage them. 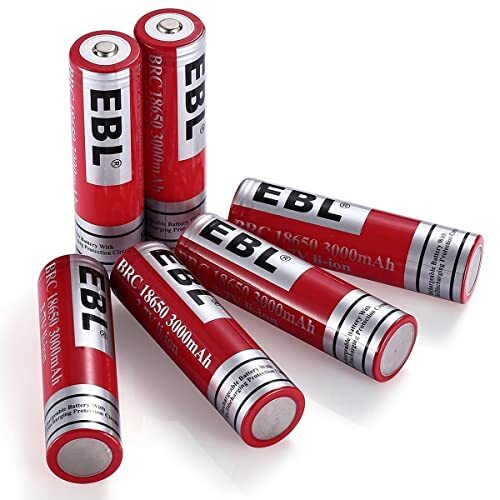 These 18650 batteries from EBL are built to last. While they don’t boast any more power or current than most of the other batteries on this list, what they do have is a long life. Even after hundreds of uses and charges, you should not see a dip in their battery life. These batteries come with a carrying case, which will help to keep them nice and safe when they are not in use. 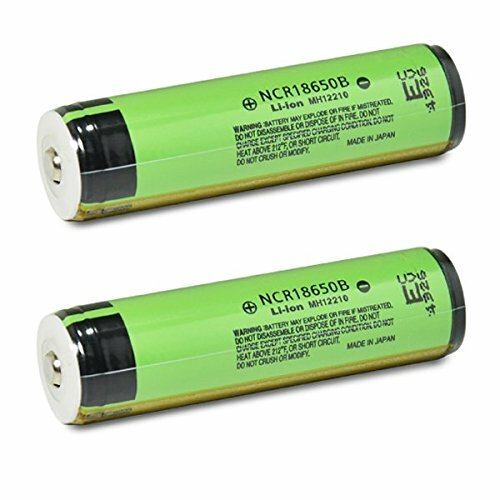 This is ideal since the outer covering of these batteries is thinner than some others. If you were to choose these, you would need to be careful not to be too rough with them or run them for too long of a time. They are easily damaged and especially susceptible to overheating if they are in use for too long. These batteries are another budget-friendly option. This is because if you choose to purchase them, you won’t just get the batteries, but you will receive a charger as well. This charger serves as both a way to charge the batteries, but also a way to transport them when not in use. The plug of the charger folds up for easy transport. 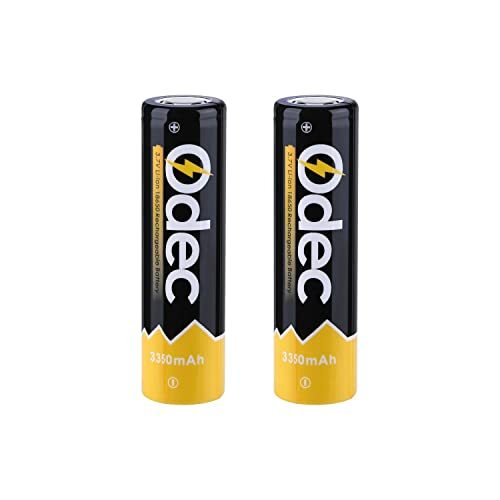 While these batteries do a good job of holding their capacity and providing plenty of power, they are also on the thin side, making them easy to damage and quick to overheat. If you are looking for a battery for a device that doesn’t require a whole ton of power, then these might be a good choice for you. They operate at a much smaller than normal 10A or current, which makes them one of the weakest, but longest lasting, batteries on the market today. This long-lasting performance and low power output also make them some of the safest batteries as well. Since they don’t put out a ton of power, there is a very small chance that they will overheat. In the case that they overcharge or there is a power surge within your device, they have a built-in auto disconnect feature that will shut the battery off. 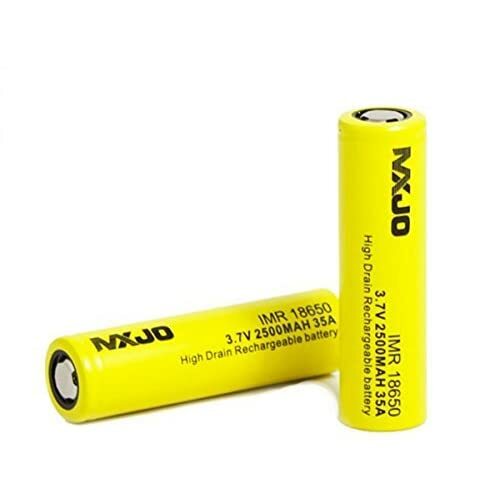 Unlike many other batteries which lose power at extreme temperatures, these from MXJO keep on going. Even if the temperature spikes up to 140 degrees Fahrenheit or down to 14 degrees Fahrenheit, these batteries will keep your devices running. They do this with a high discharge current, which can run continuously at 20A. 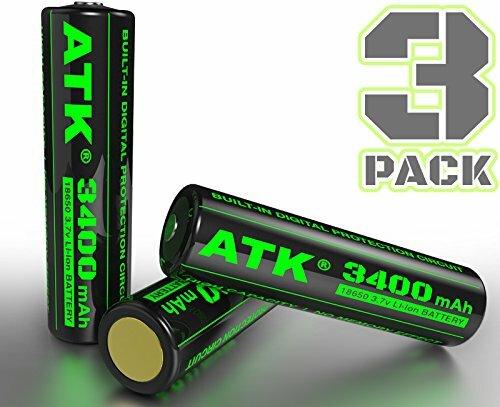 These batteries can also run at a maximum discharge current of 35A, though this will drain the battery quickly. As with most high drain batteries, the charge time is relatively long. This means that if you do decide to utilize this set of batteries, you need to be sure to set aside plenty of time to charge them. That way, you can guarantee that you can run your device for as long as possible. Charging the batteries fully will also help to keep them working properly for longer. If you have an extremely high drain device, such as a flashlight or digital camera, then you will want to give these batteries a gander. They run at a continuous discharge rate of 30A but can spike all the way up to 45A if necessary. Of course, this will drain the battery relatively quickly in comparison to batteries with lower discharge rates. These higher currents can also cause the batteries to overheat, especially if they run for a long time. While this shouldn’t be too big of a concern if you are only using them sparingly, it is something to keep an eye on. 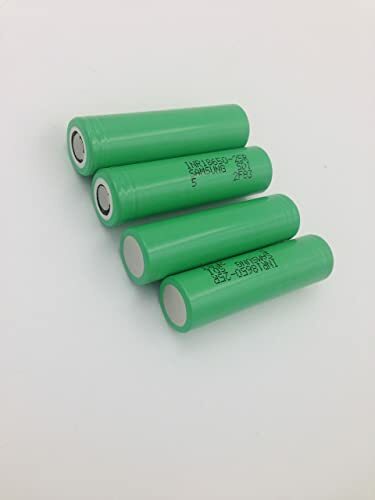 This is especially true since these batteries do not have any sort of protective insulation on them to help reduce their propensity to overheat. LG has long been a trusted brand when it comes to electronics. They have built a reputation for quality and dependability. 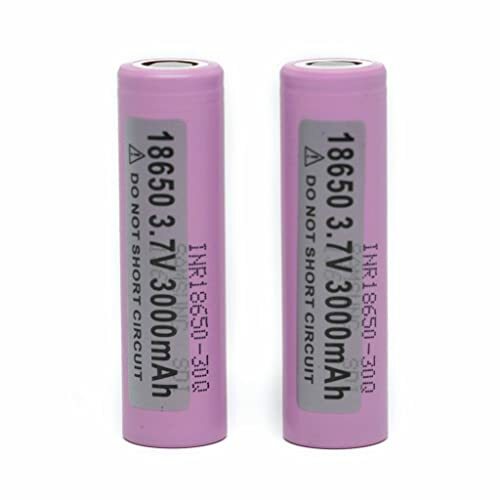 So it isn’t a big surprise that their 18650 batteries are some of the most reliable on the market today. They charge quickly and will hold a charge for a long time. These batteries also provide a consistent flow of power for a huge stretch of time. Not only are these some of the most reliable batteries out there, but they are some of the safest as well. This is due to their extra thick protective coating. This coating will give you the peace of mind knowing that you don’t have to worry about them leaking or overheating. The only real problem with these batteries is that they don’t have the longest life, as they will start to degrade after several hundred charges. 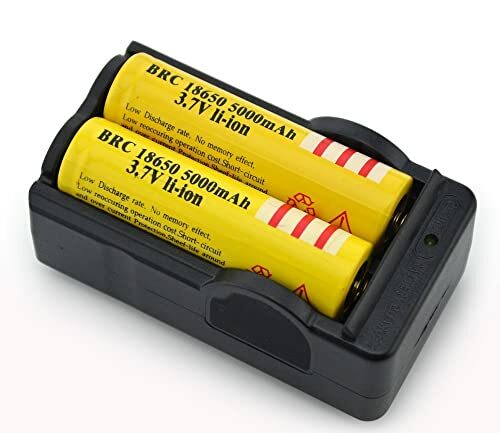 While it might seem like any old battery will do, there are actually several factors that you need to consider when choosing the best 18650 battery. If you fail to take these into account, you risk getting an inferior battery. This will subject you to a loss of power at an inopportune time. The first and possibly most important factor you need to consider is how long the battery will last. Why? Well, simply put, longer battery life means a longer use of whatever device you are using the batteries in. The last thing you want is to go to use your flashlight and find out that it won’t turn on because you chose a battery with a short life. The voltage of a battery is what controls the flow of energy into your device. The higher the voltage, the faster the current, which will provide more power to your device. The downside to a higher voltage is that the battery might overheat quickly or drain the battery’s power quicker than you would like. It is always best to check the owner’s manual for the device you intend to utilize to see the recommended voltage. The capacity of a battery is how much power it will hold. The higher the capacity, the longer the battery life. If the battery is rechargeable, a smaller capacity will fill up quicker than a large one, but then it won’t last as long before it needs a charge. In this day and age, there really isn’t a reason not to spring for a rechargeable set of batteries if you can. Obviously, since you are looking for specialized batteries here anyways, you are looking to power a device that you use frequently. Why go out and get batteries that will only last a little while before you need to replace them. Some of the batteries on this list are flat on both sides, while others have the prong that you always see on any set of AA’s out there. You need to make sure of which type you need for whatever device you want to use these batteries in before you purchase. Otherwise, you’ll end up with a set of batteries that you can’t use. If you get a battery that isn’t the right voltage for your device, you run the risk of it overheating, and possibly exploding. This is why you need to read your owner’s manuals and make sure that you have the right battery. Something else to watch out for in this department is batteries with weak casings. If the outer casing of a 18650 battery is weak or compromised, it could be unsafe to operate. Look for batteries that say that they are fully enclosed to be sure that you won’t have a problem with them down the road. All Charged Up and Ready to Roll! 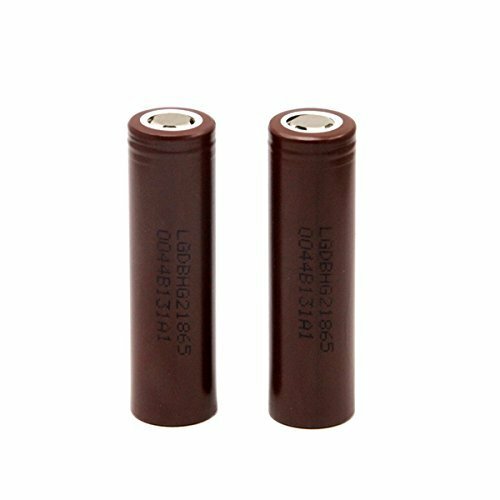 Hopefully, you have a brighter idea of what to look for to find the best 18650 battery now that you have read this article. Thank you very much for reading, and have a great day!